They were very popular years ago among young kids, but now LED shoes have also become popular with adults. They are worn on every occasion you can think of, from birthday parties, to Christmas, and concerts. The trend has even become a hit with popular people such as Victoria Beckham, Lily Allen, Ellie Goulding, Fane Cotton, and Gok Wan. Jason Derulo wore them in one of his concerts and even Barcelona player Alex Song has been seen in his LED trainers. Check out some of the coolest LED light up shoes that you can wear in 2017. 1. Light Up Trainers - trainers can be used every day, whether you are doing a physical activity such as sports, or just plain hanging out with your friends. These shoes come in a variety of colors from basic black to the more modern colors. 2. Wings LED Shoes Kids - kids have been enjoying glow up shoes since the 90s. They are really great to give as presents if you have children or nephews and nieces. While the wings on the shoe may not be the typical cutesy design that was seen in the first generation LED shoes, the simple wings design makes it more classic. These are shoes that will never outgrow the kid who wears them. 3, LED High Tops- high-tops have become a statement for those who would like to be seen as cool. What better way to elevate this simple shoe by adding LED lights, right? Wear them to parties or during a dance performance. It would be even better if you get your friends to buy them too. There are many colors to choose from so you can still have individual styles despite the same design. 4. LED Light Up Boots - Yes, LED lights are not just for shoes! These boots come in the classic black and brown, so it's perfect to wear during office hours. Then when you have plans to go clubbing with friends, you just need to turn on the LED lights and get ready to party! All these shoes come with 7 color variation of lights and even some lighting modes like the strobe for a more party-like atmosphere or slow motion for a more laid back feel. One charge of the lights using a USB charger can last anywhere from 6-9 hours, plenty of time for when you want to paint the town red with your friends. You can also be sure that with the advancement of technology, LED shoes are completely safe now compared to earlier models which had mercury in the batteries. Many if not all the newer models are also waterproof. Getting them a little wet will not cause any harm, just make sure you don’t submerge them, of course! Bright LED shoes have all these designs and even more. 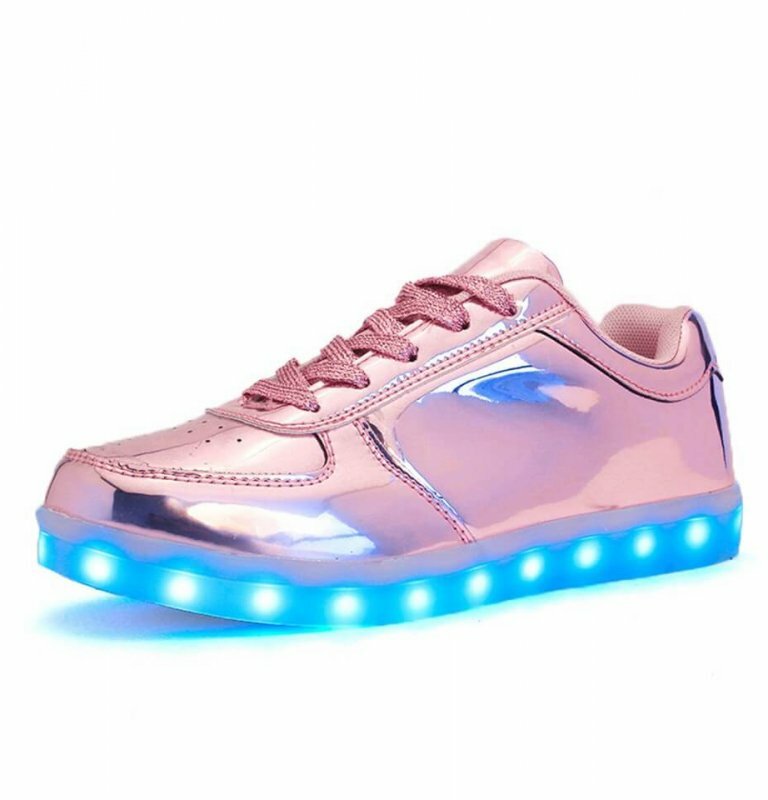 They even have an ongoing sale right now, so be sure to check them out if you want to purchase your very own led light up shoes.